It’s not every day that B or C list characters get their own flicks, but what about one that hasn’t been around in over thirty years? 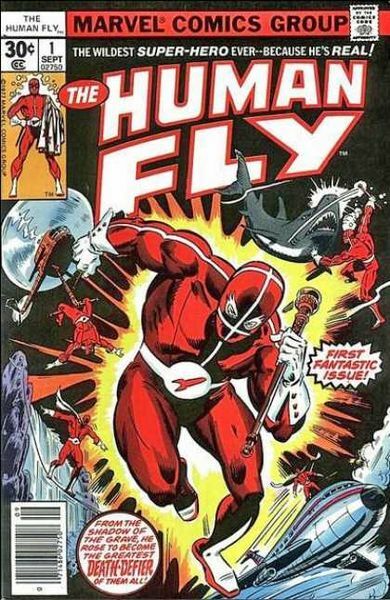 Turns out The Human Fly from the limited Marvel Comics series will be making it’s debut on the big screen, according to Deadline. For those not in the know, The Human Fly was a stuntman who after suffering a horrific accident went through several reconstructive surgeries where much of his skeleton was replaced with steel. He then used his abilities to perform special stunts and tricks for charities but often ran into criminal activites due to his daredevil antics. Alan Brewer and James Reach will produce the Steven Goldman film with a screenplay by Tony Babinski. No word on a release date or casting at this moment.